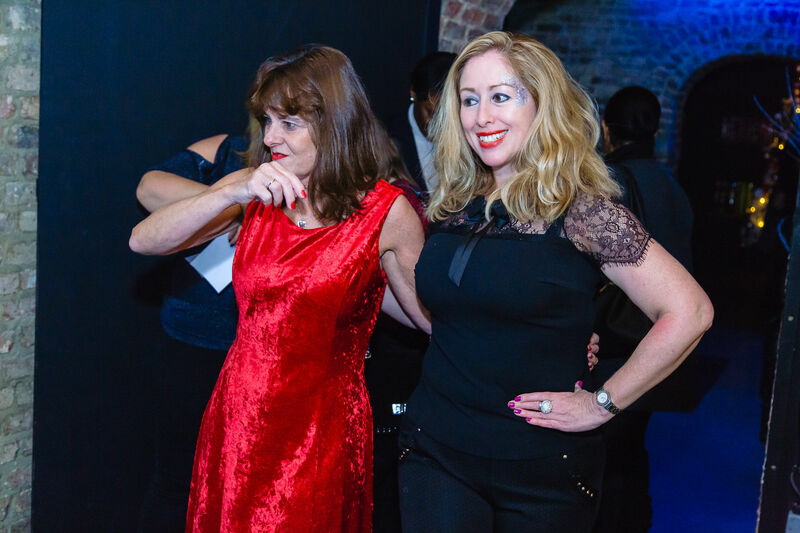 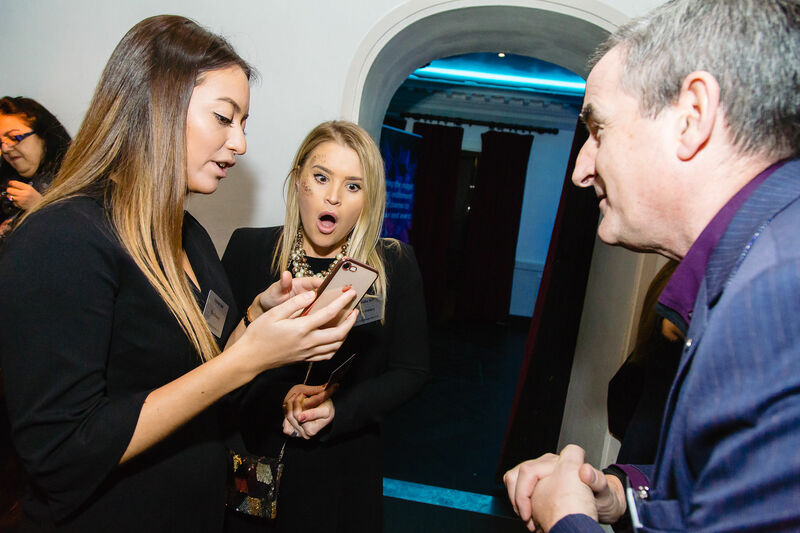 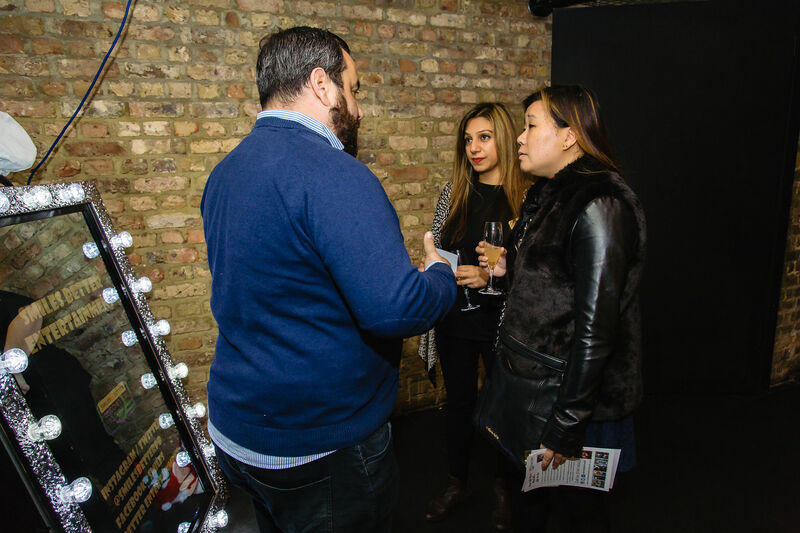 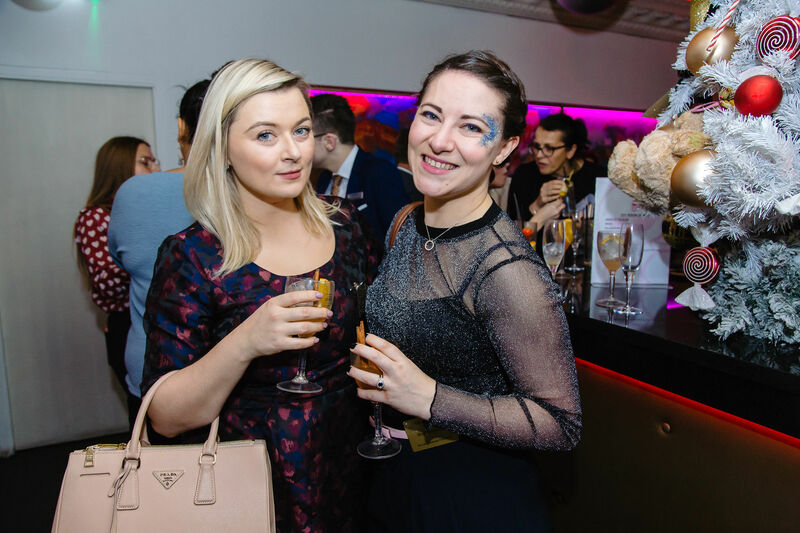 Monday, November 26 2018, saw the PA social event of the year take place at a venue deep beneath the London Palladium. 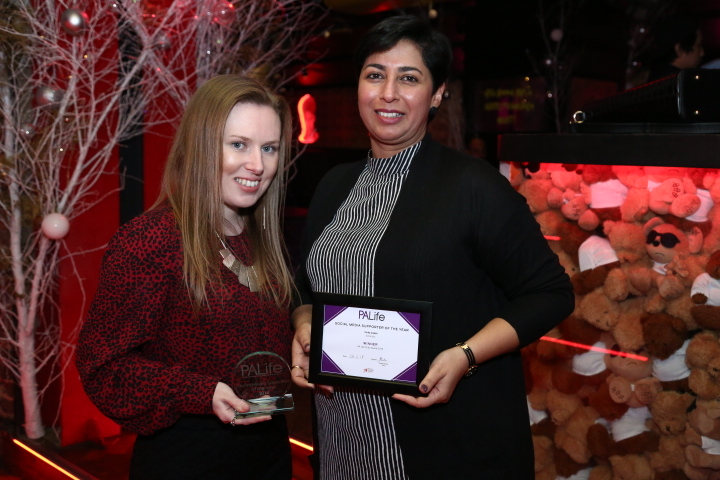 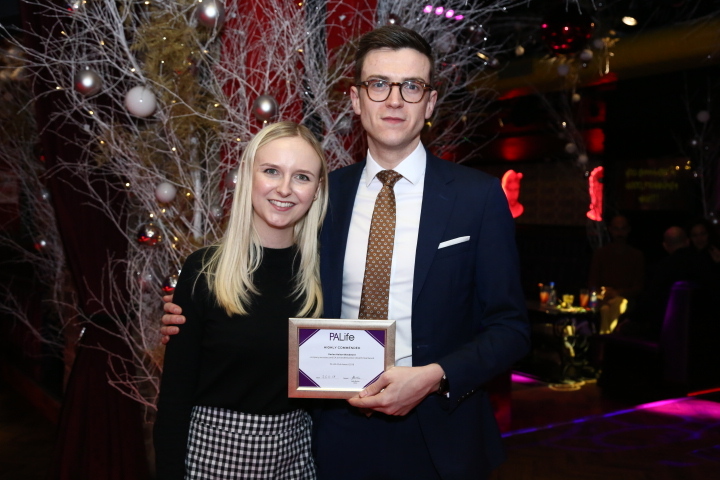 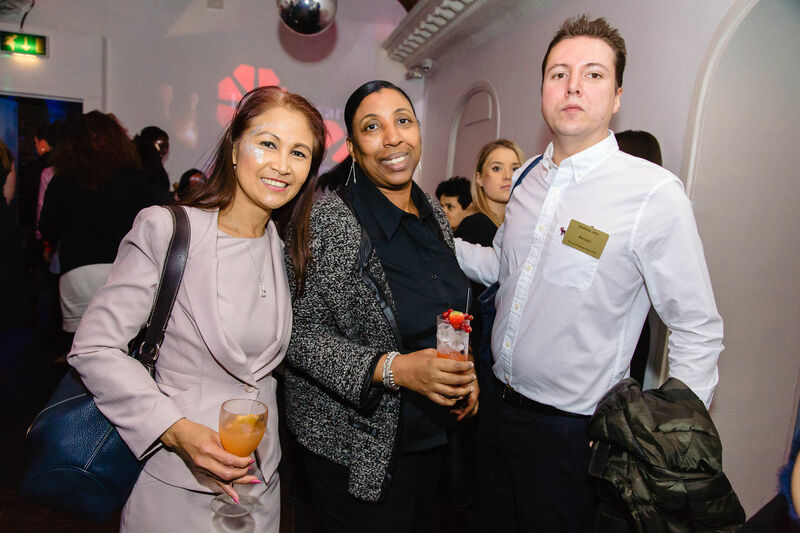 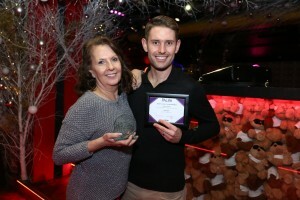 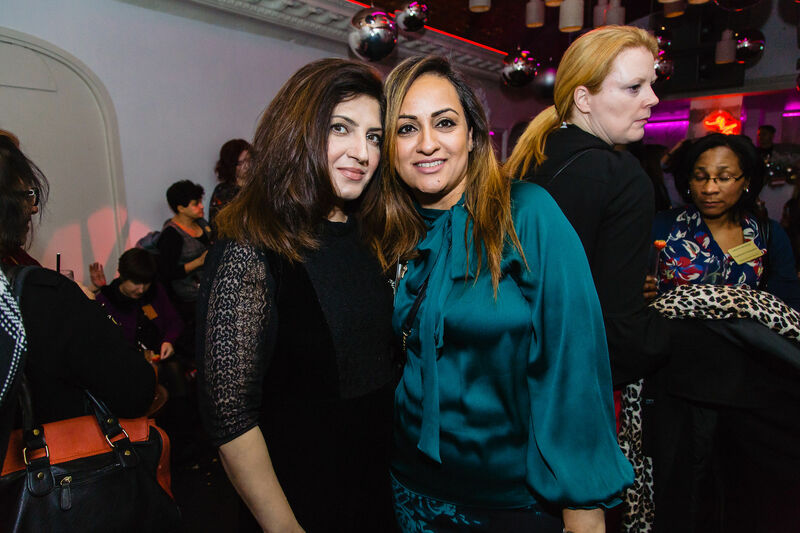 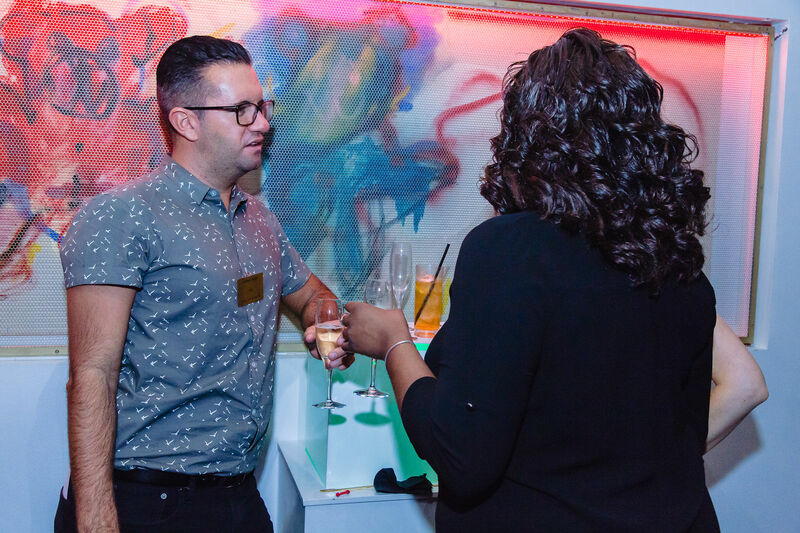 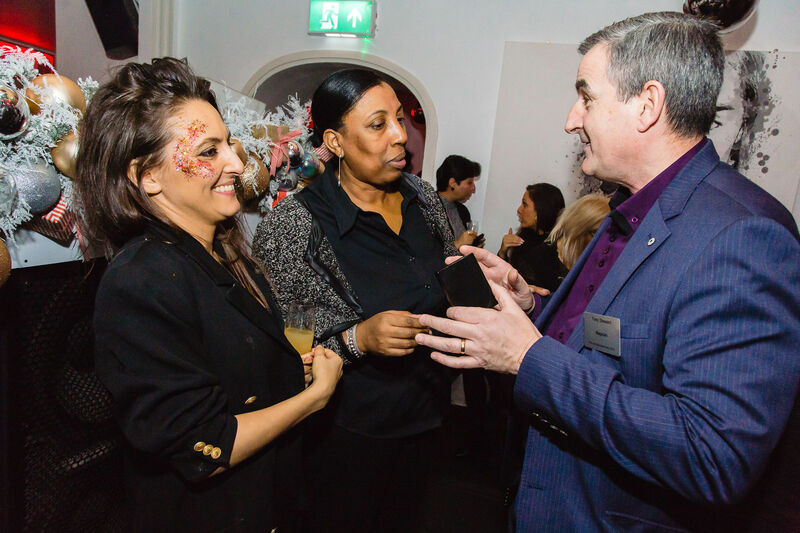 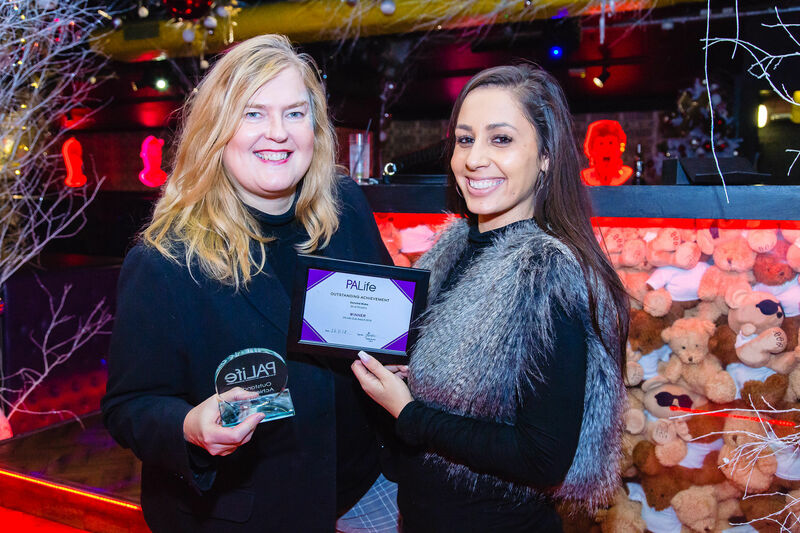 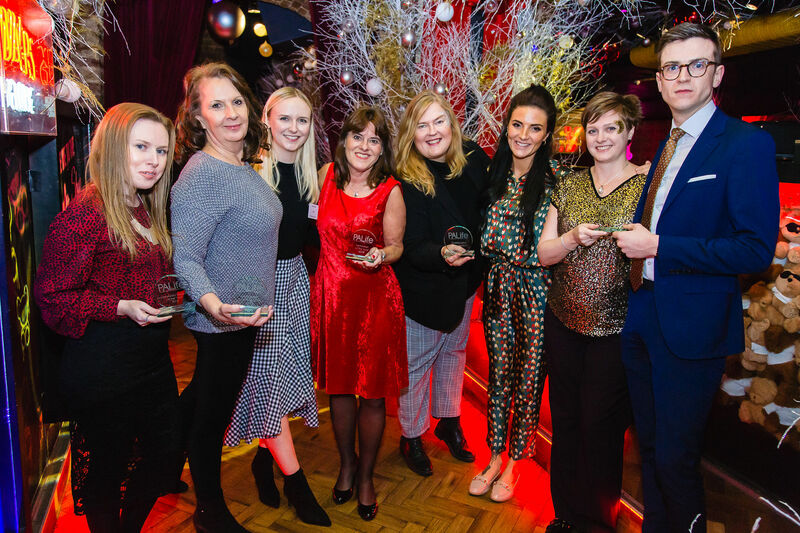 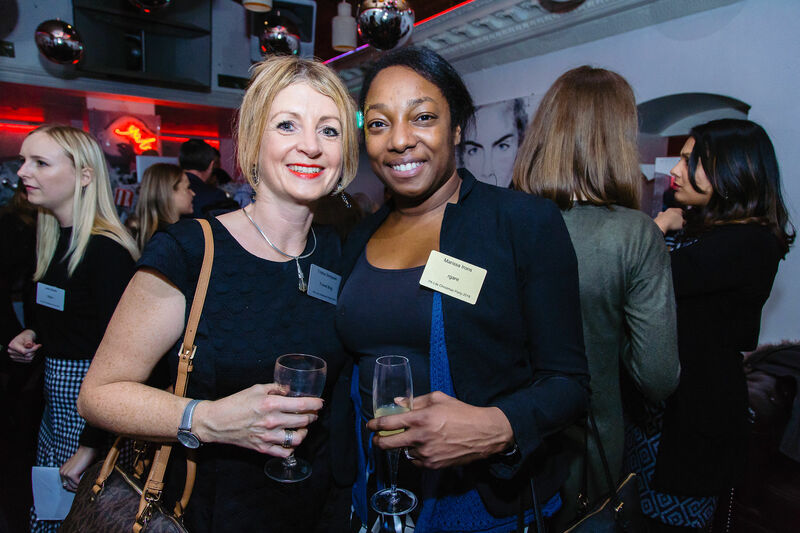 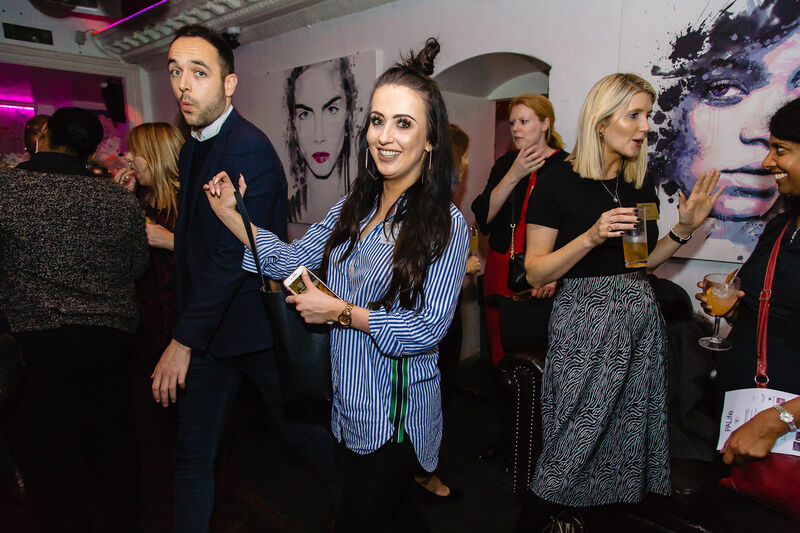 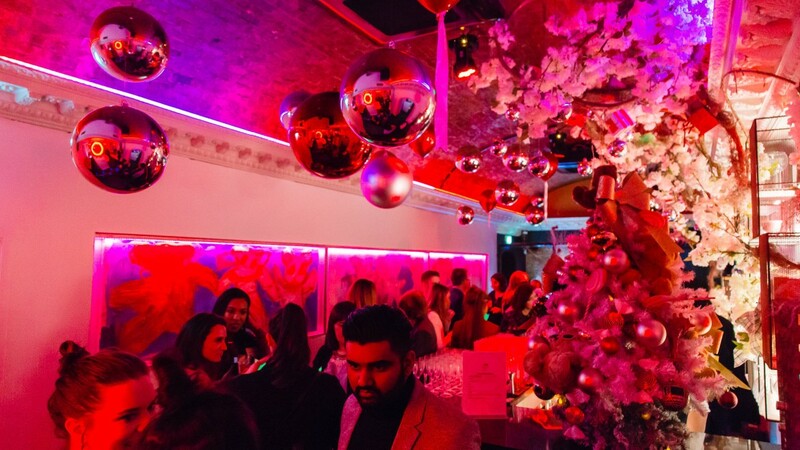 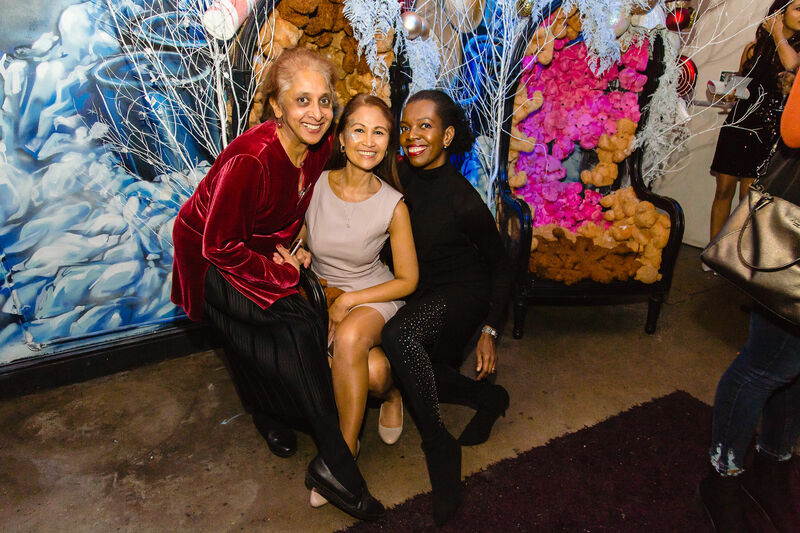 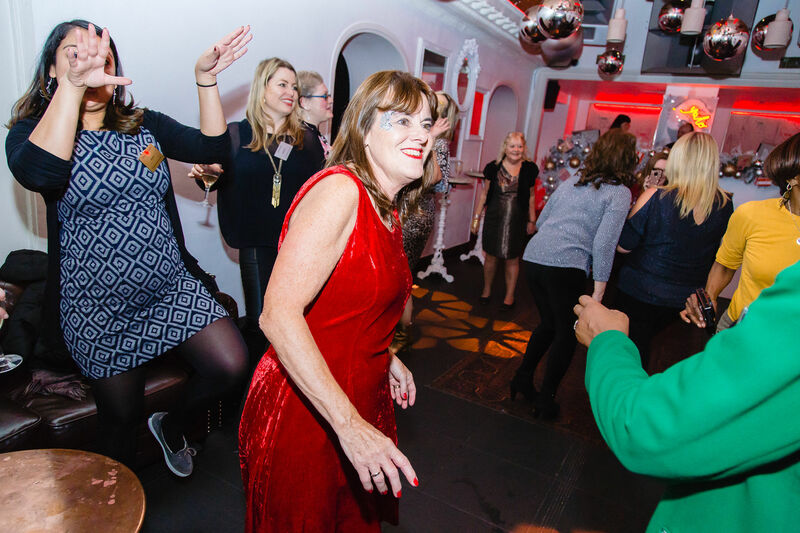 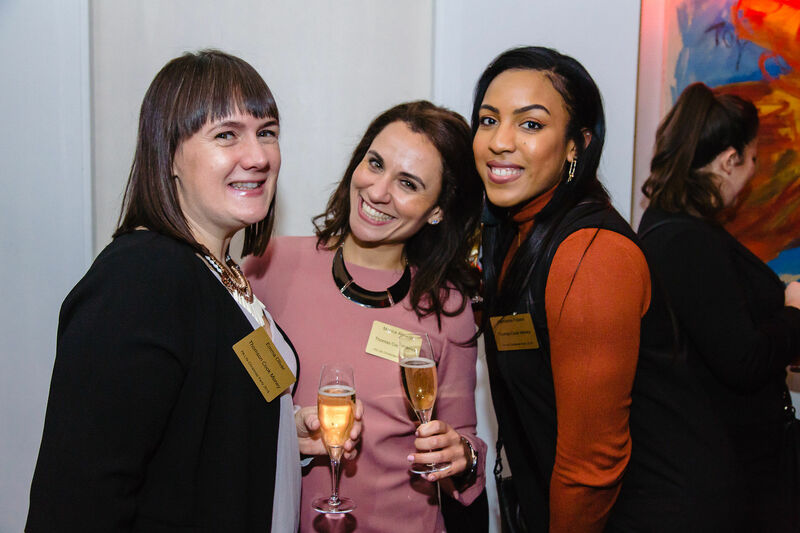 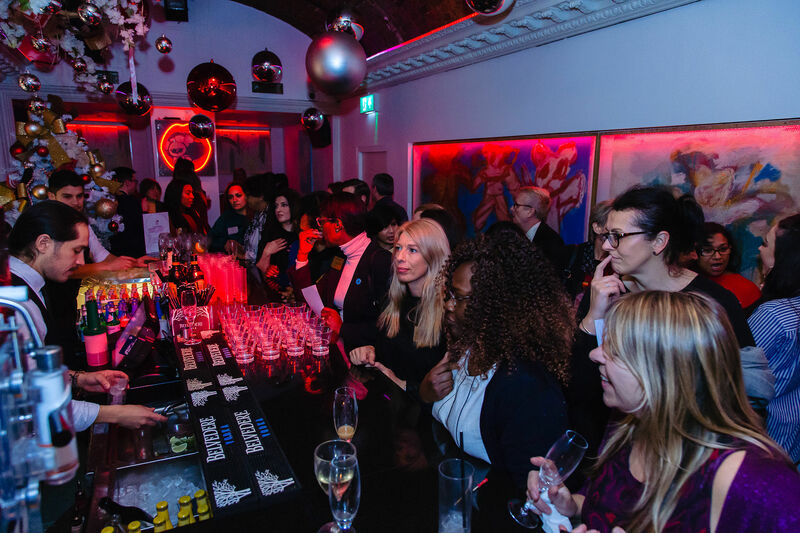 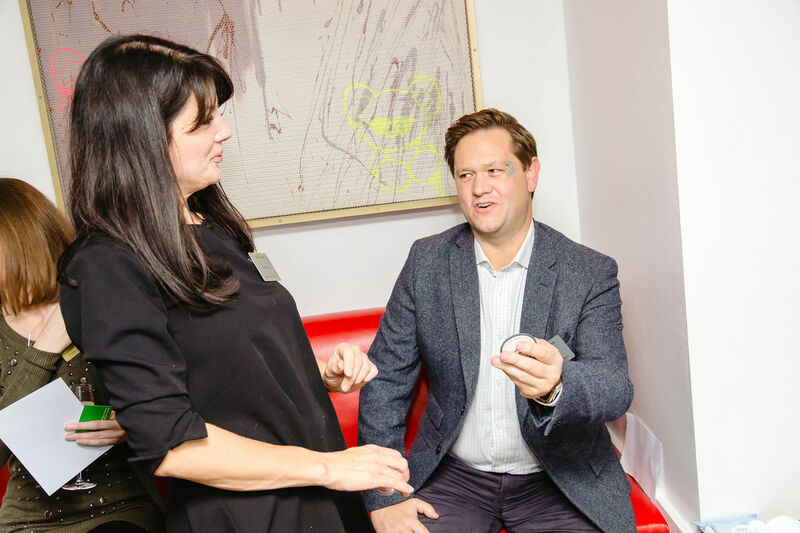 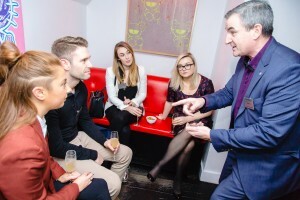 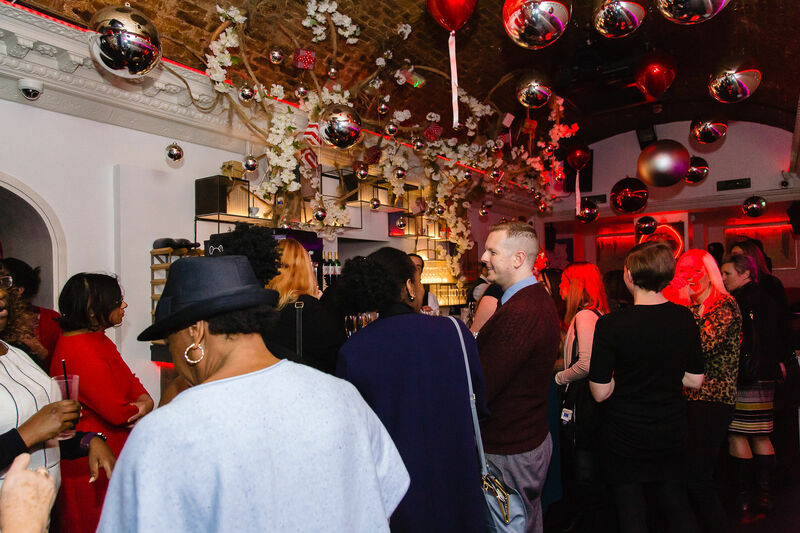 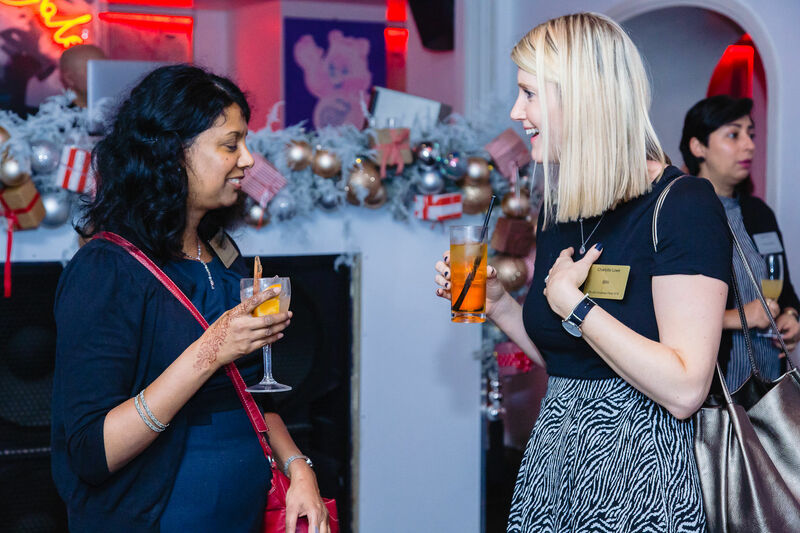 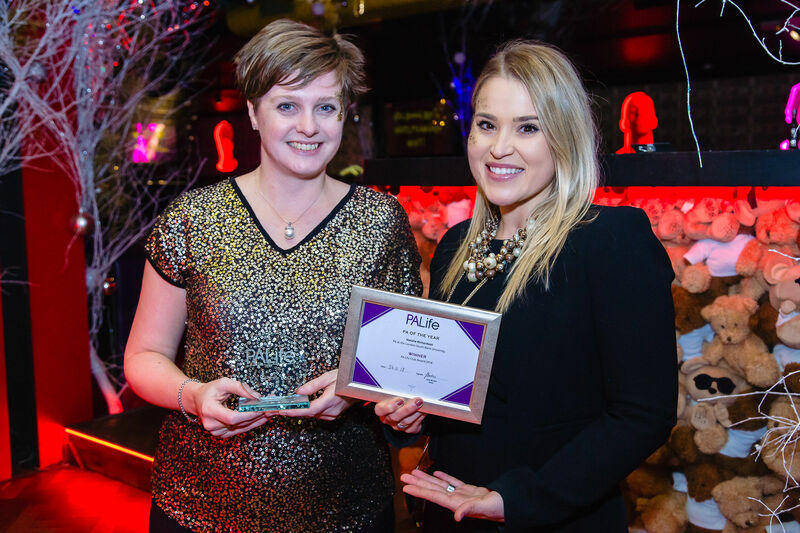 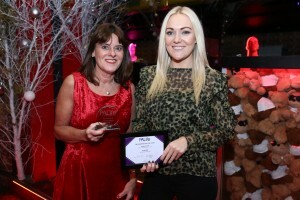 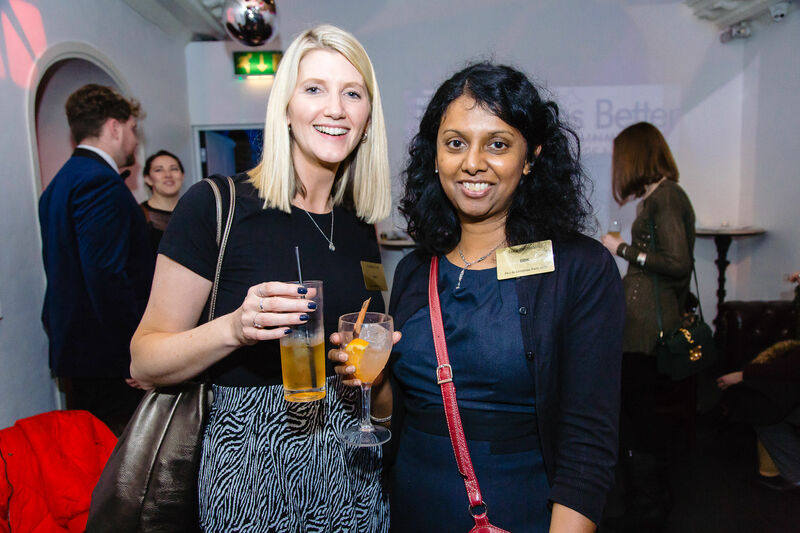 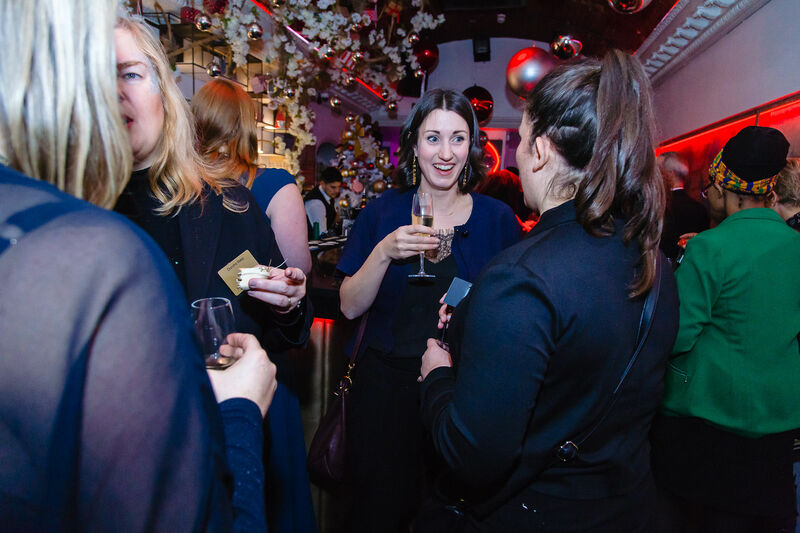 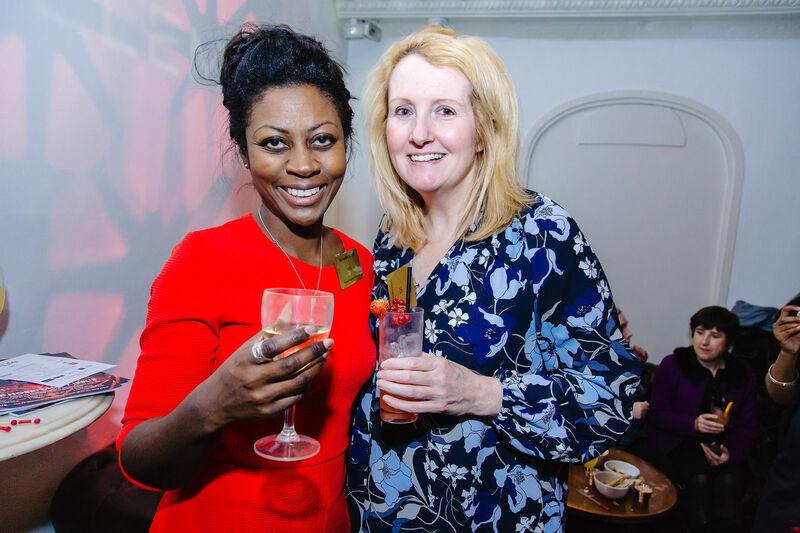 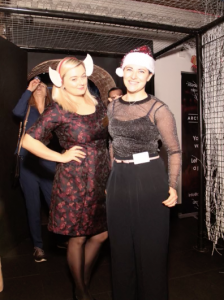 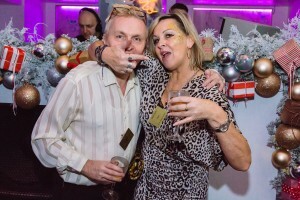 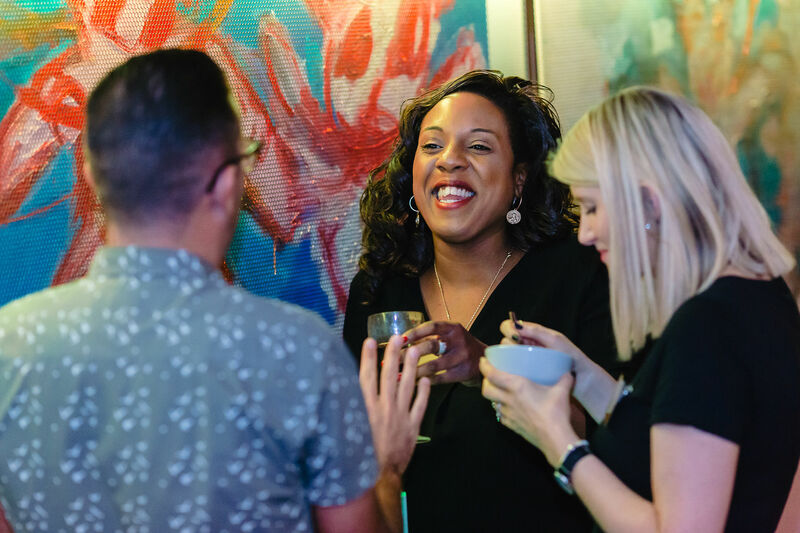 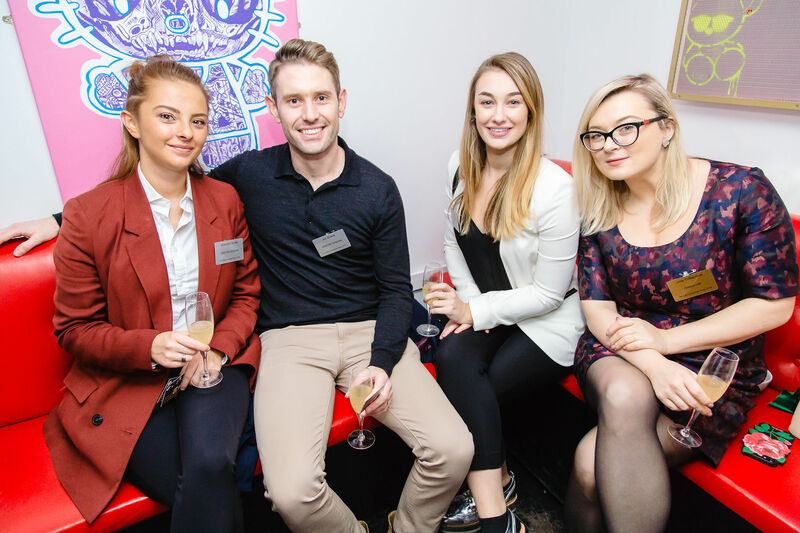 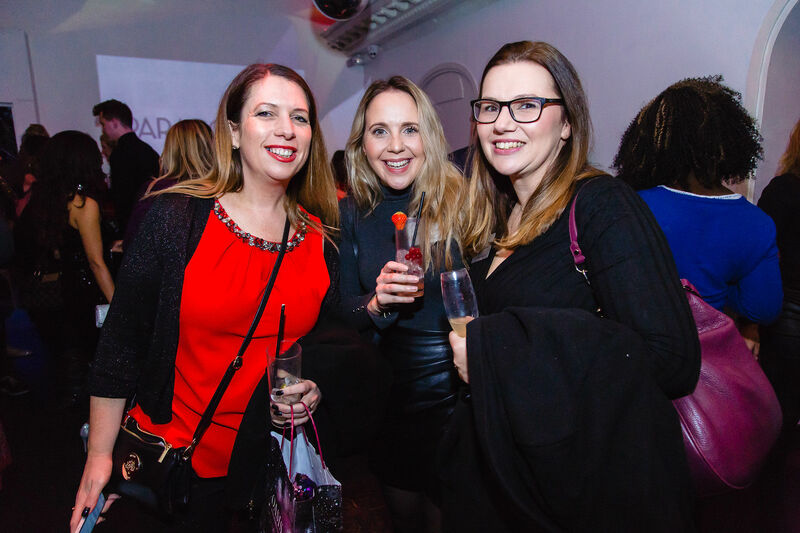 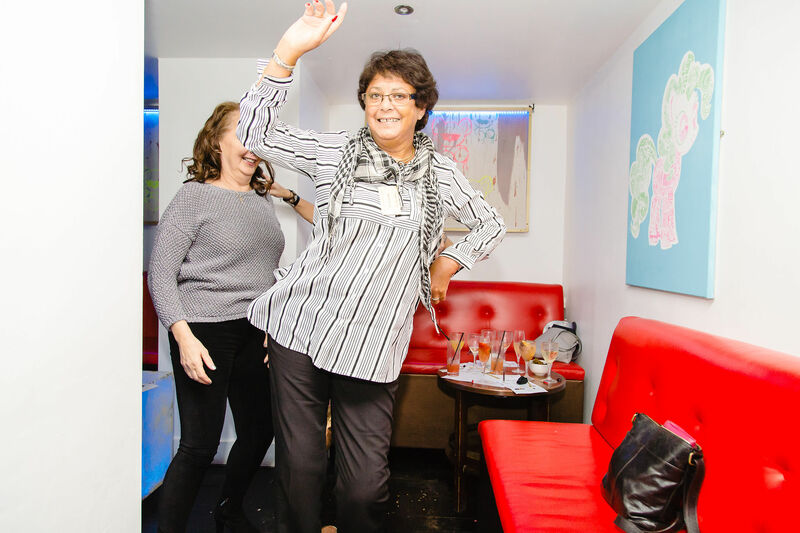 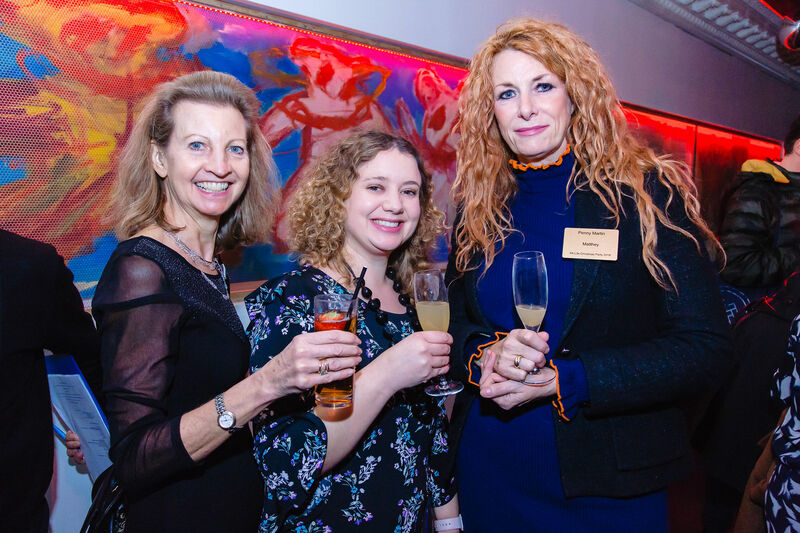 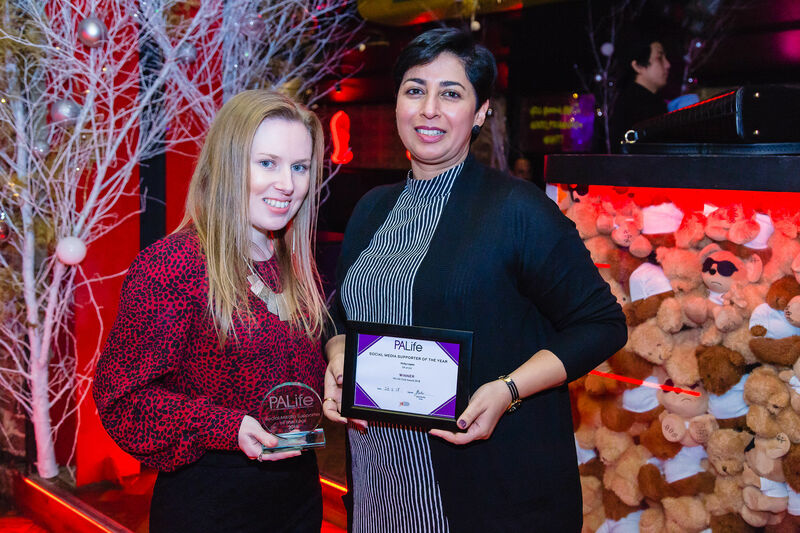 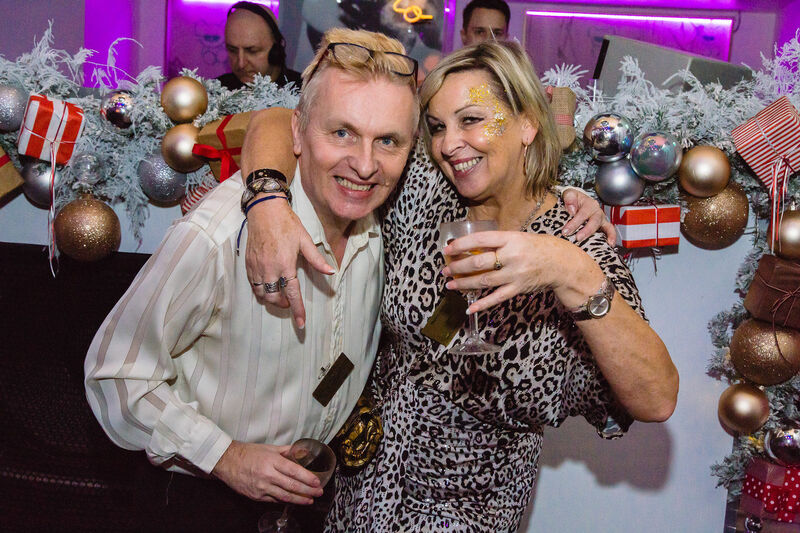 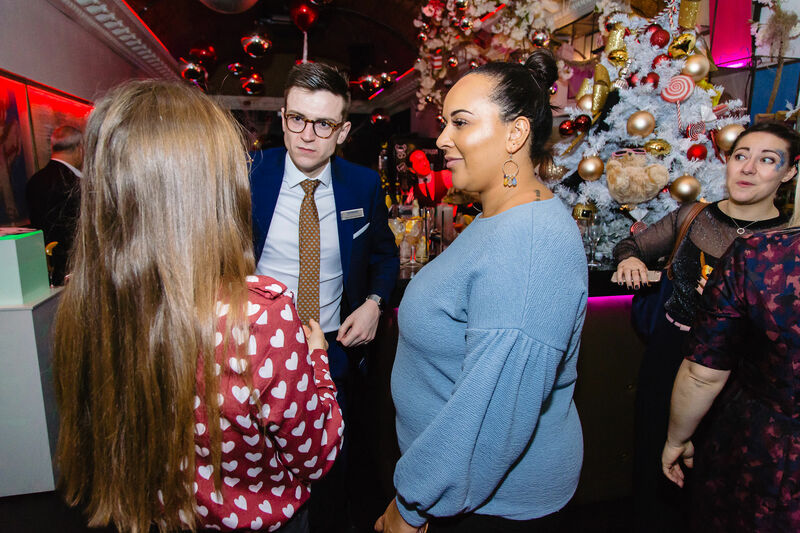 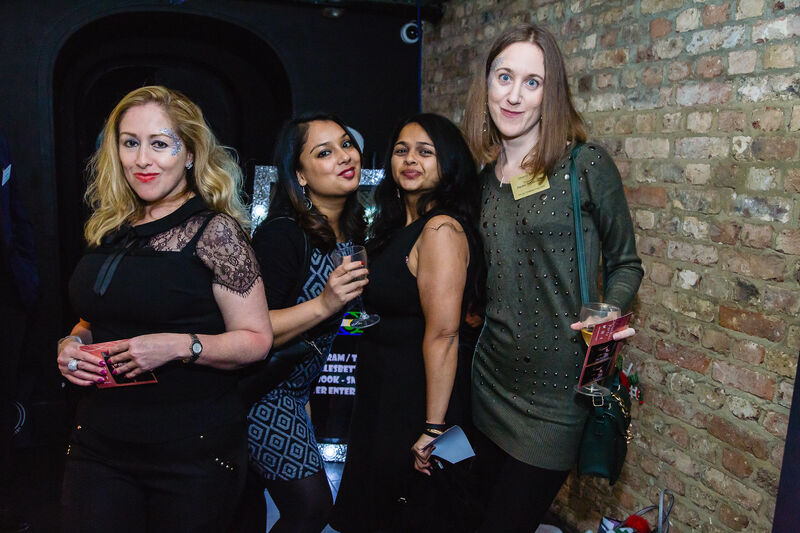 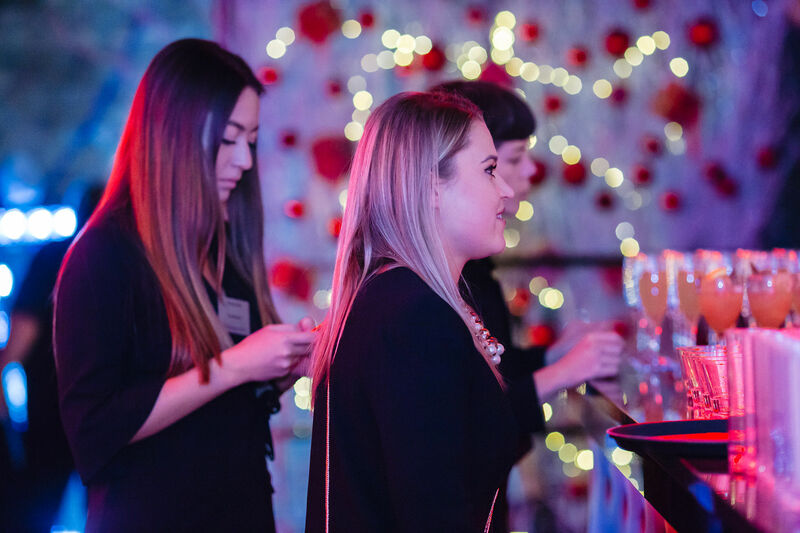 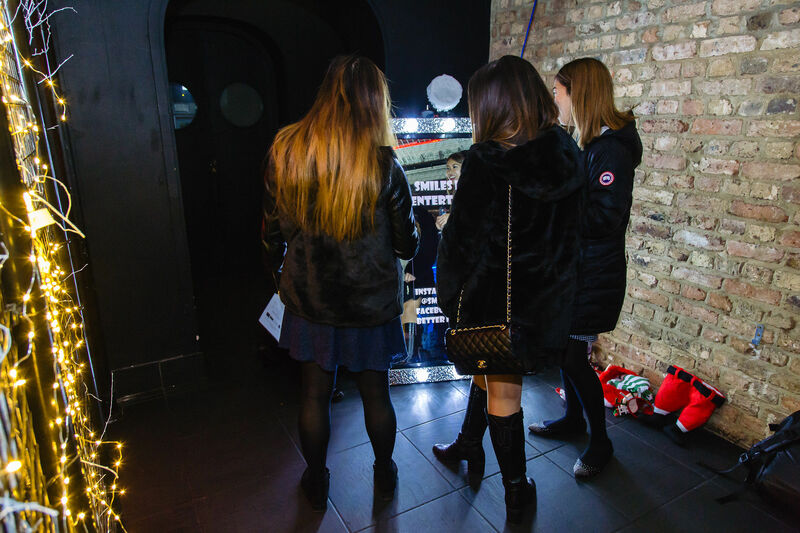 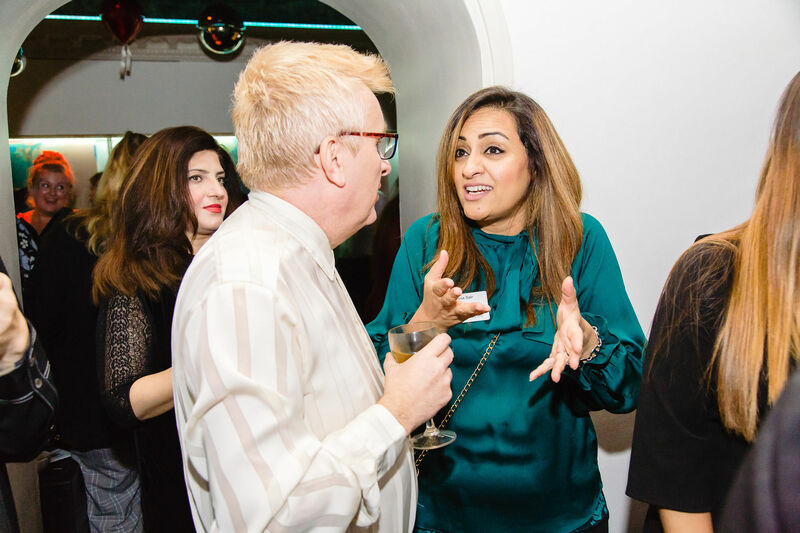 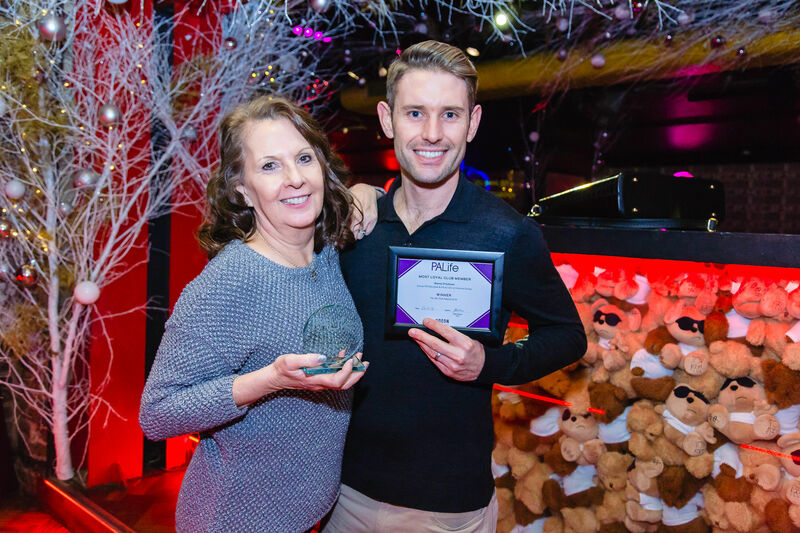 The PA Life Christmas Party, based at the Toy Room London, saw the coming together of 150 PAs, EAs, VAs, sponsors and suppliers to one of the greatest celebrations of assistant work in the UK. 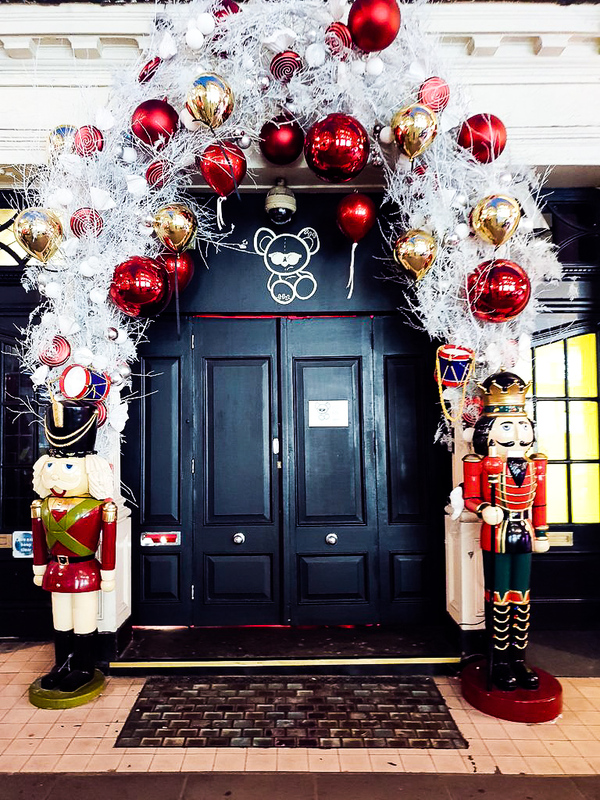 The evening started at 6pm, where guests were invited to the Central London venue, Toy Room – based just a 30-second walk from Oxford Circus station, found by a door extravagantly decorated beside the London Palladium. 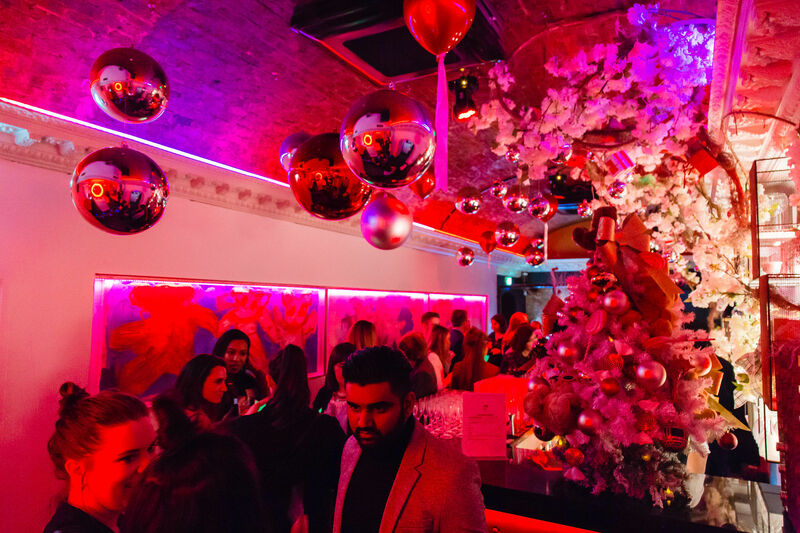 Toy Room is a popular London nightclub found deep below the street level. 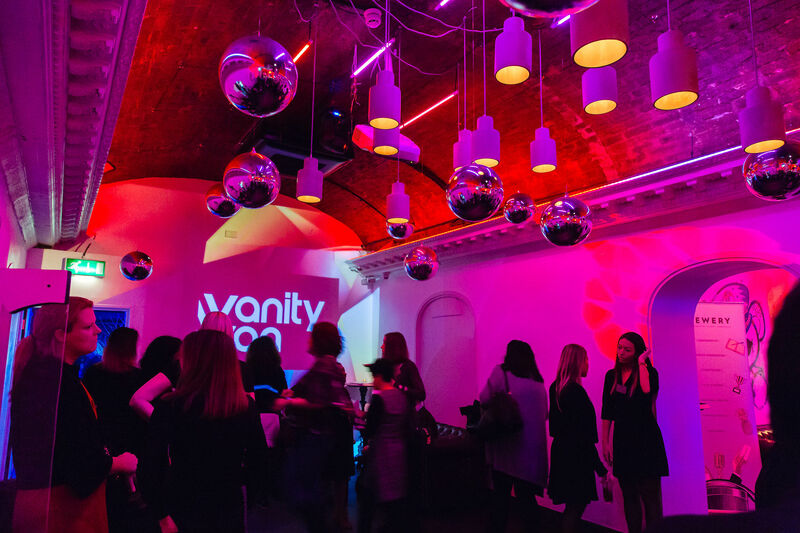 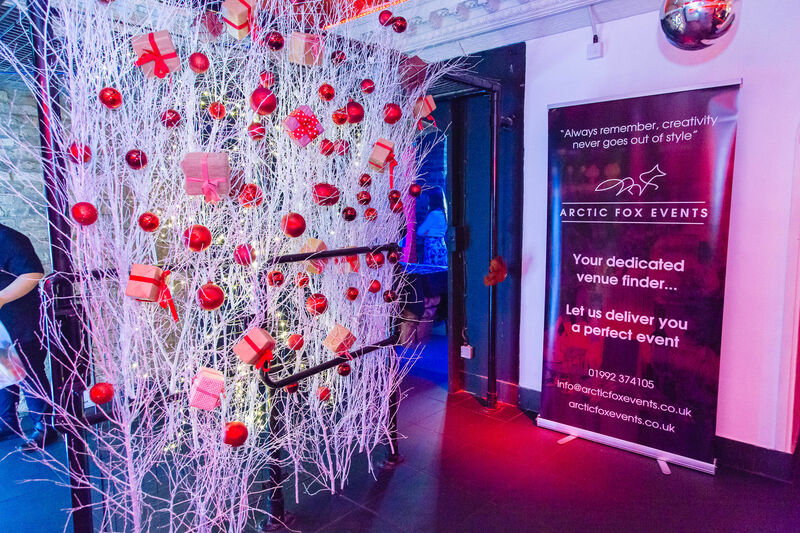 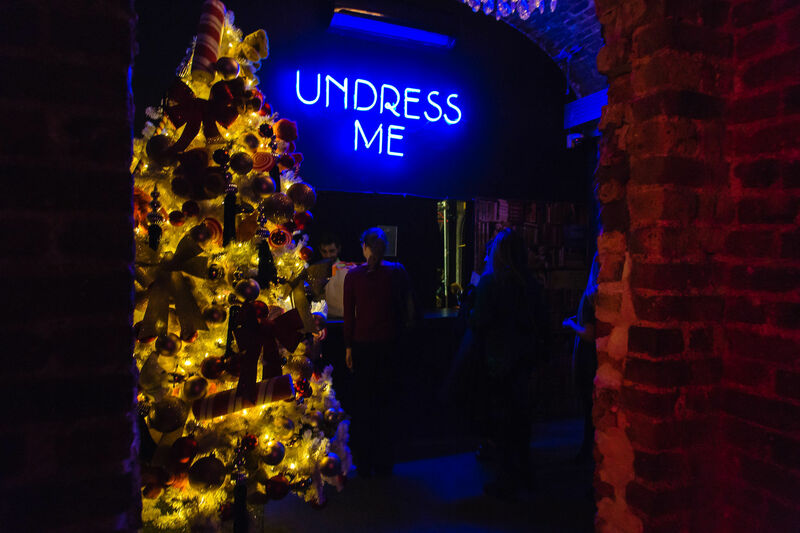 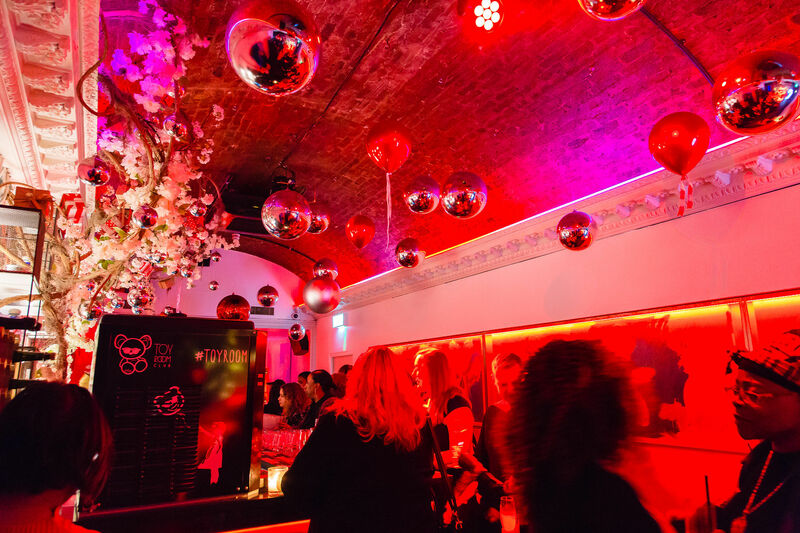 Within the heart of the venue, guests were given a Christmas wonderland with a unique twist; Christmas lights, trees and a ceiling showered with giant baubles added to the winter wonderland effect. 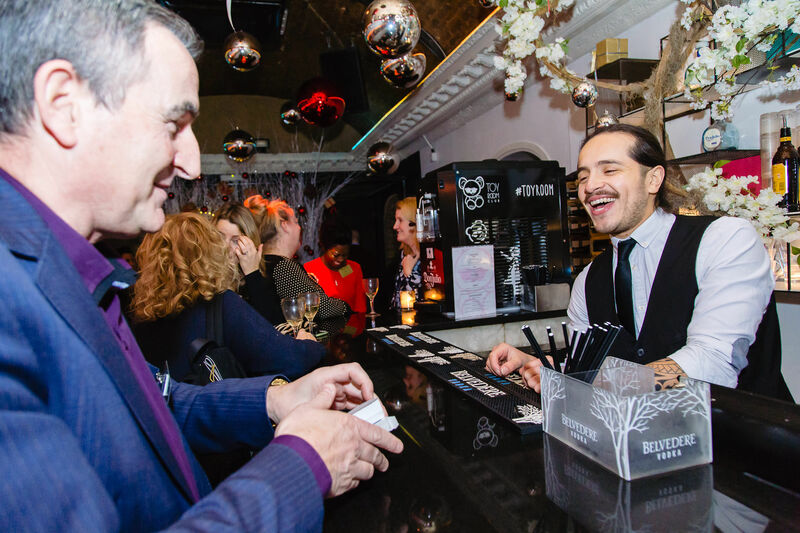 The bar staff had prepared a range of drinks including unlimited prosecco and festive themed cocktails for an evening that promised to kick-start your holiday activities. 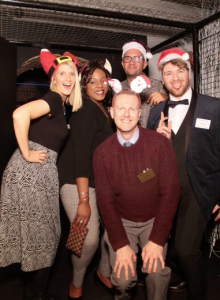 Food was served throughout the evening, including; mini fish and chips, mac and cheese, vegetable curry, waffles and ice cream and to complete the holiday celebration turkey wrapped in prosciutto served on a warm bed of mash and veg. The entire venue celebrated with festive feeling including the Toy Room mascot (Teddy bear) being given the yuletide treatment in every corner of the room. 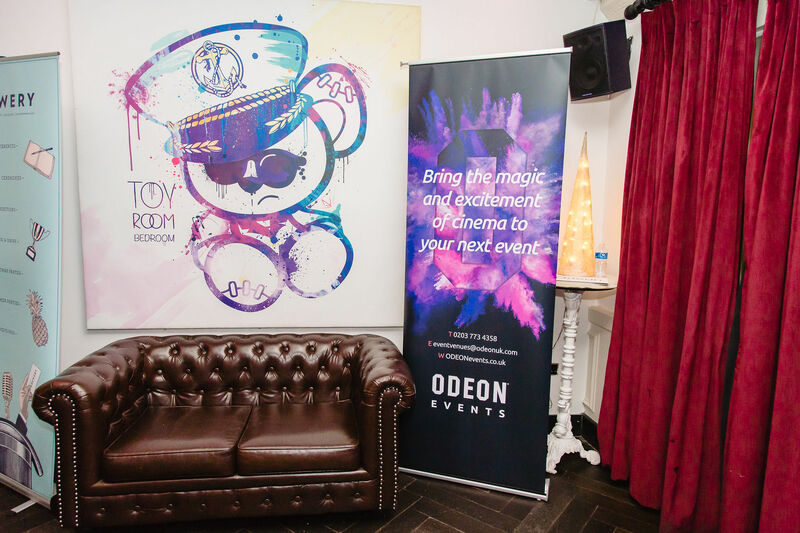 To learn more about the venue please click here. 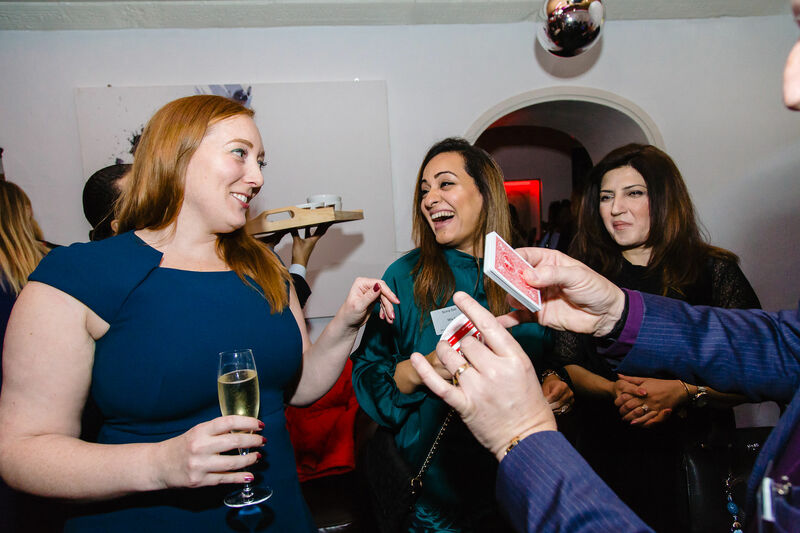 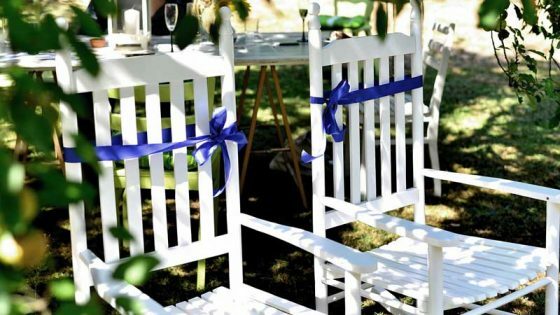 Each corner of the venue had been designed to entertain, with several ways to keep guests amused and intrigued. 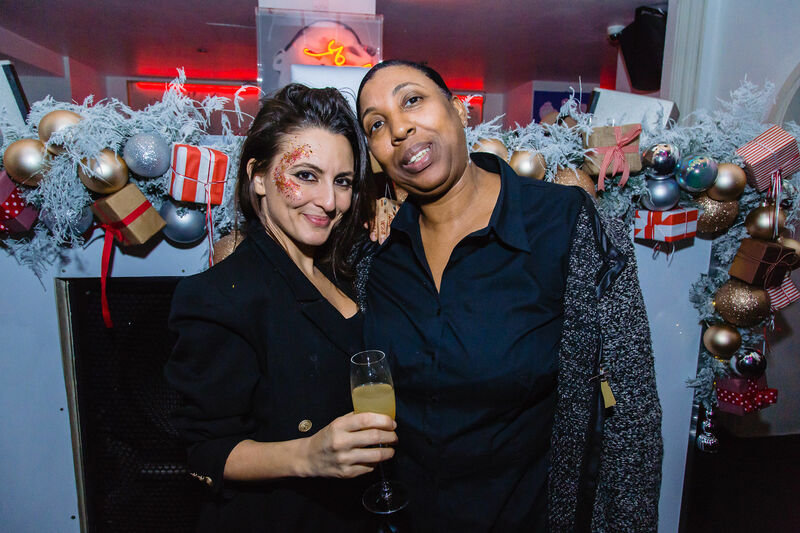 Vanity Van: The brilliant ladies from Vanity Van surprised everyone on the night with the chance to get their faces painted with festive glitter and add a little more shine to the party. 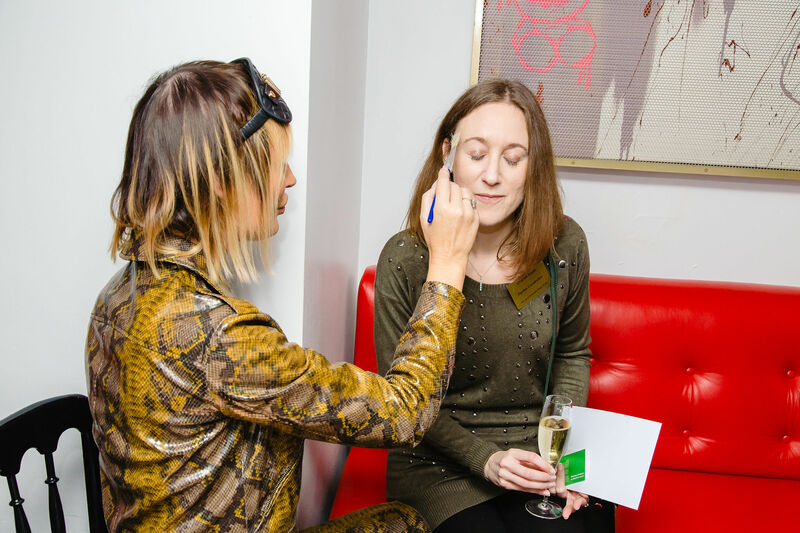 As you can imagine in a room of PAs, this went down a treat as people cued to have their faces shine with glitter in the nightclubs lighting. 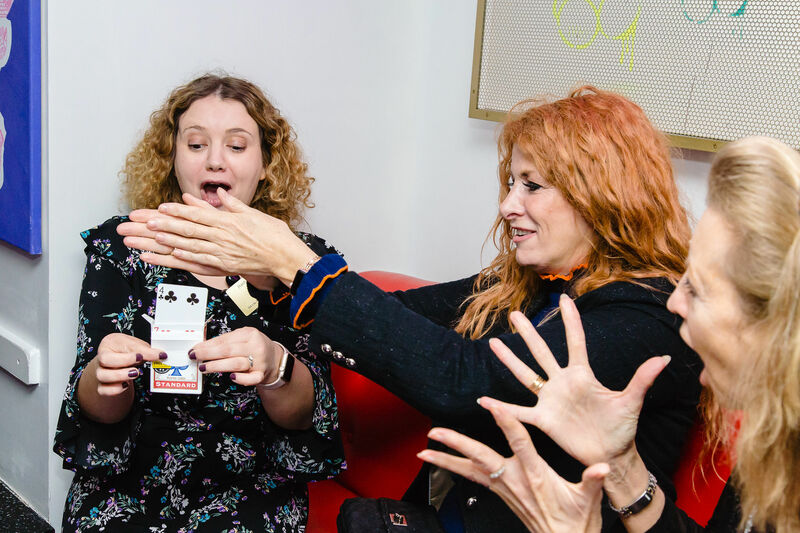 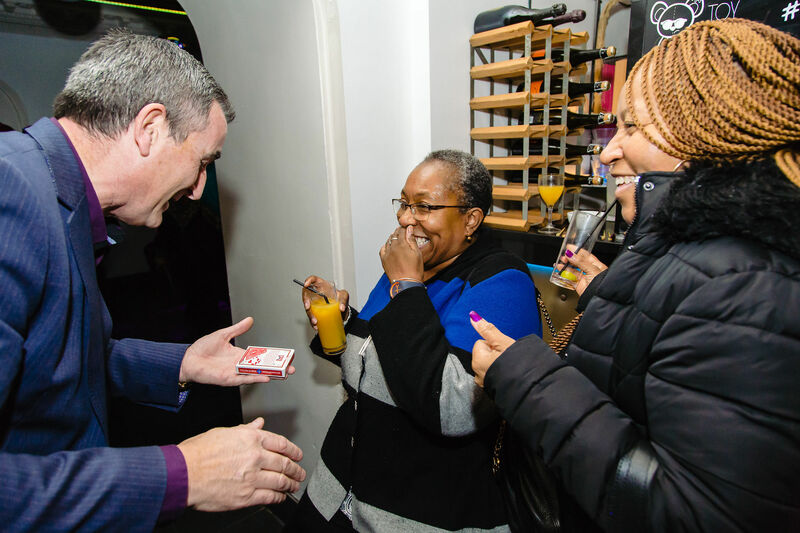 Magician Tony Steward: For many a highlight they will never forget, Steward wowed the crowds on the night with tricks performed right in front of peoples faces. 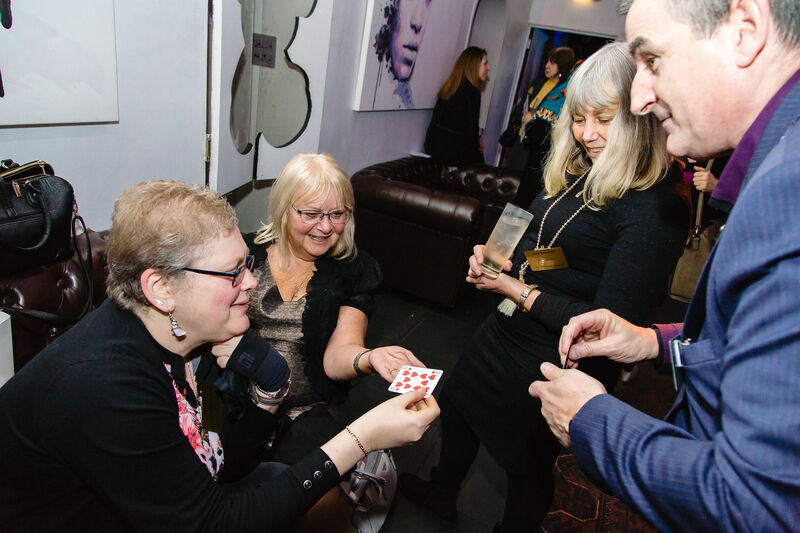 He worked the room to intrigue everyone with unexplainable magic using only a pack of cards and his charm. 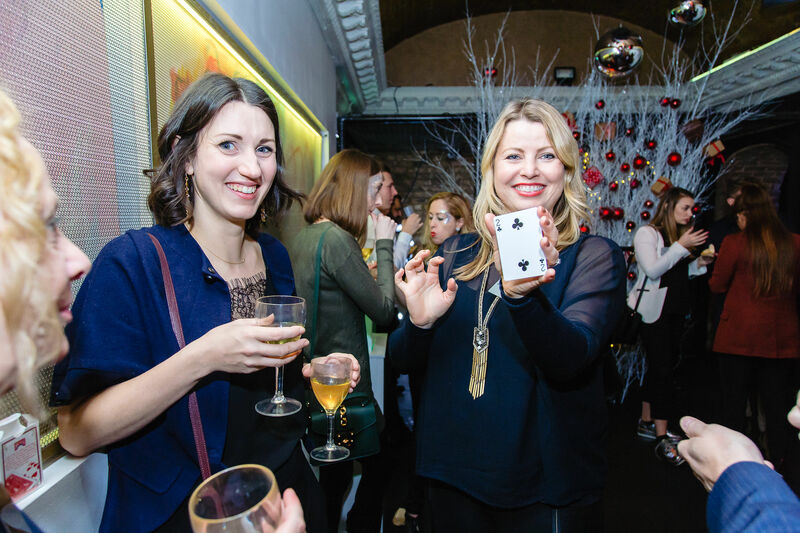 Green Hat People: We love how Green Hat People can create fun, interactive games bespoke to any event. 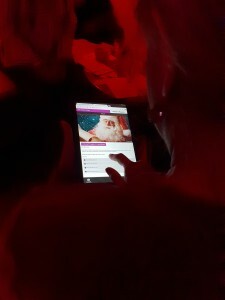 For our Christmas Party they did just that, with a quick game on a tablet device that kept people coming back for more, especially once they found out there were prices to be won. 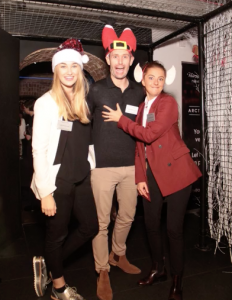 Smiles Better Entertainment: A quirky and festive photobooth that provided instant prints of the images captured. 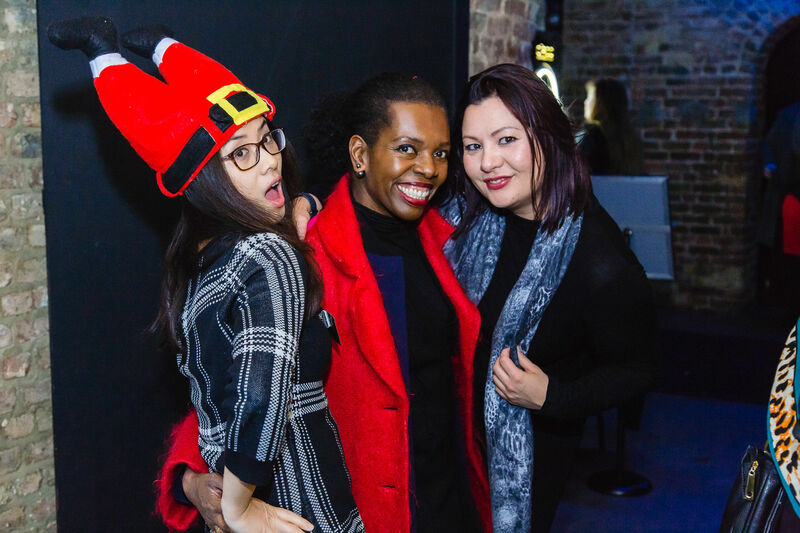 We all know that a few drinks with your friends mixed with some funny Santa hats, you and your group of friends want to capture the night. 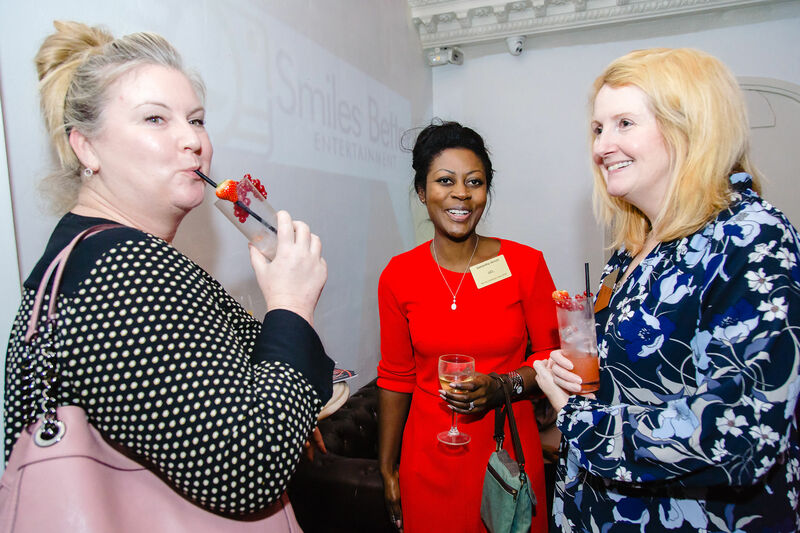 With Better Smiles, you’ll struggle to do this any quicker or better. Around 7pm Jade Burke, editor of PA Life Magazine gave a speech that encompassed the PA Life Club in total, including some standout events that have taken place over the year and some of the many companies we have worked alongside to produce the magazine, the events and experiences that we offer you the PA Life audience and Club members. 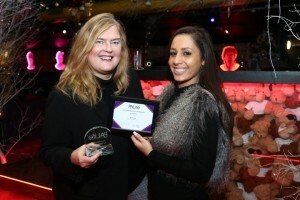 This was rounded off by the PA Life Club inaugural Christmas Awards ceremony. The awards winners were voted by PAs across the country and gave us a chance to honour those at the party in person. 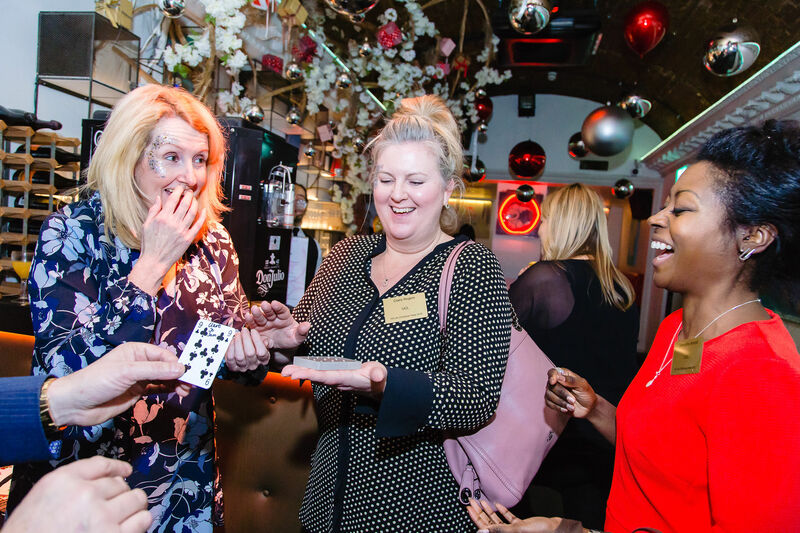 We found the winners very deserving and so did the audience in the room, with an almighty cheer erupting every time a winner was announced. We also highlighted Declan Halton-Woodward for his work as an EA and as a voice in the PA Life magazine, covering many topics that are close to many of your hearts. 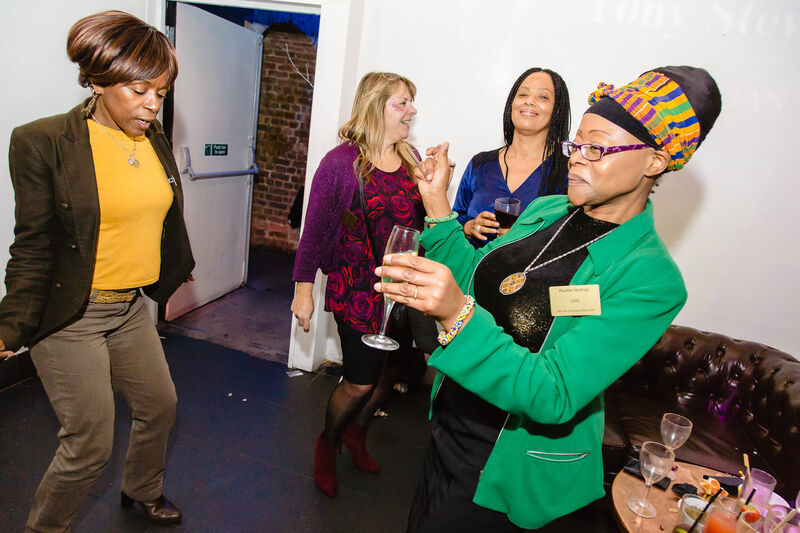 After the awards, the evening continued to see many of the PAs dancing the night away between having a drink or taking full advantage of the evening’s entertainment. 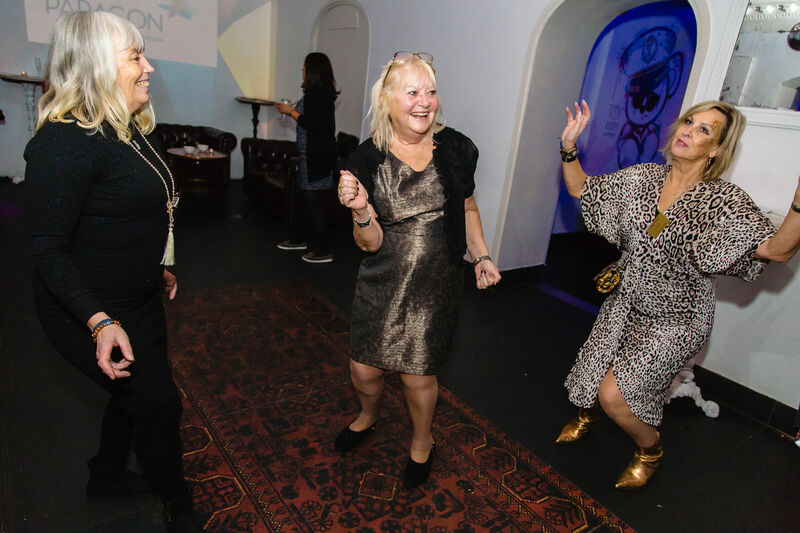 Smiles flooded the room with a very happy and positive vibe that encouraged everyone to have fun and most importantly enjoy themselves. 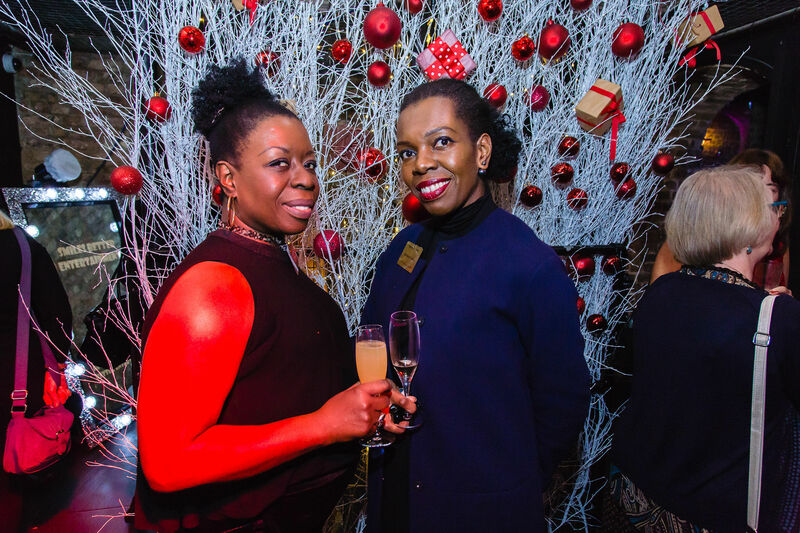 Many PAs that attended used the event to say a Merry Christmas to those that they have met throughout the year at PA Life Club events and FAM trips. 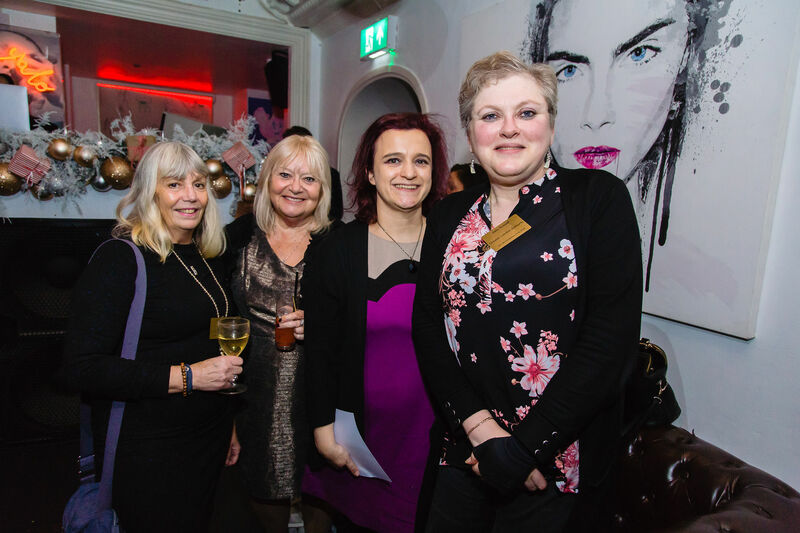 If you would like to find out more about becoming a PA Life Club member, please click here. 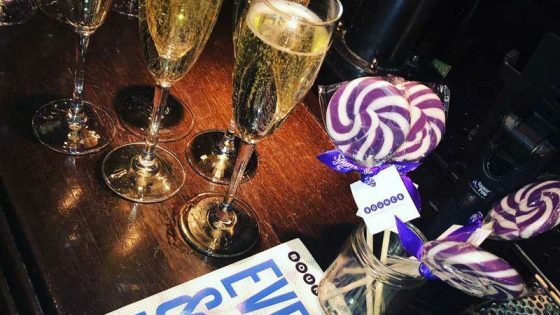 The jolly evening came to an end at 9pm, with most of the attendees travelling home together after enjoying an eventful night. 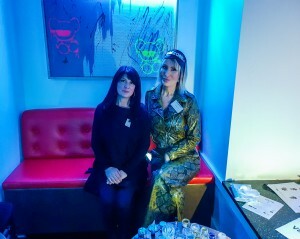 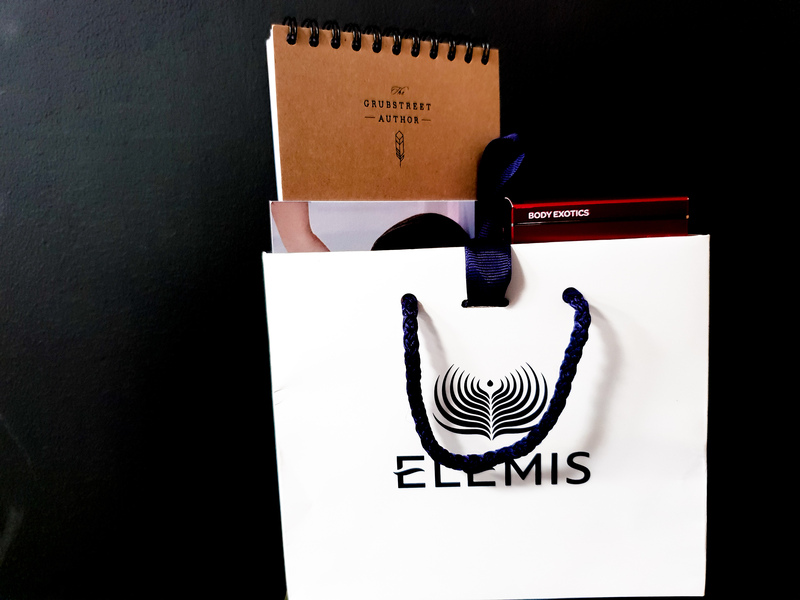 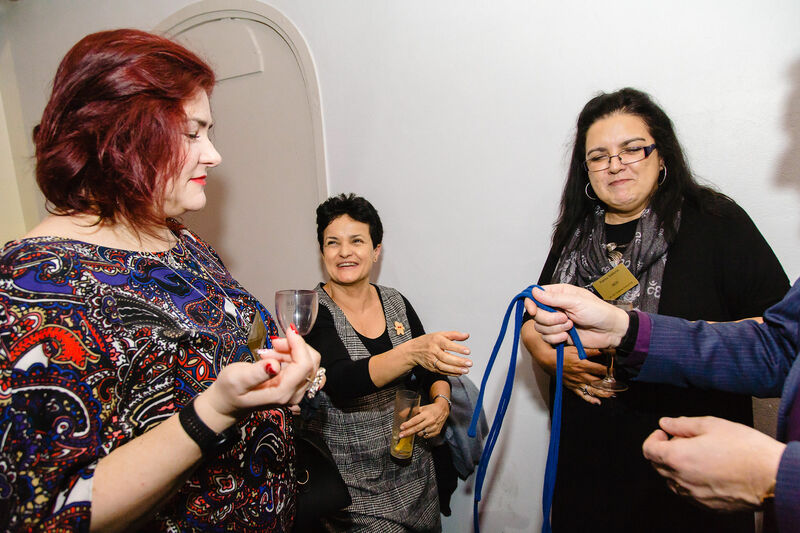 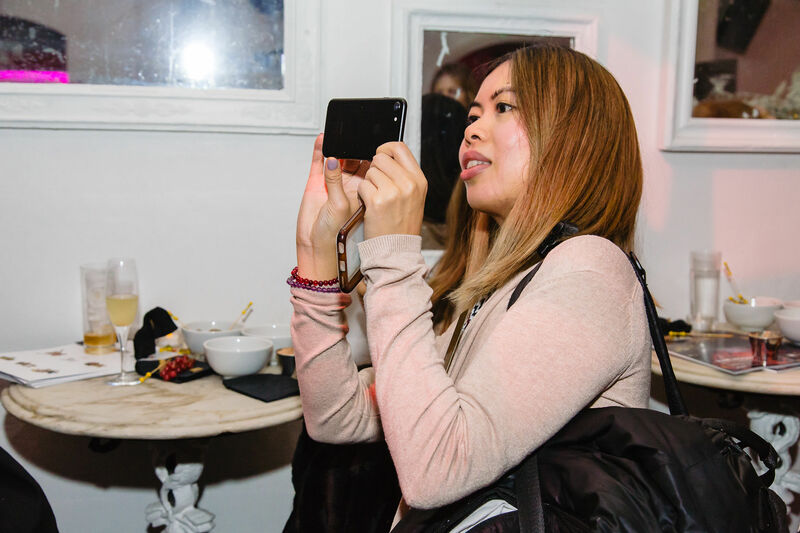 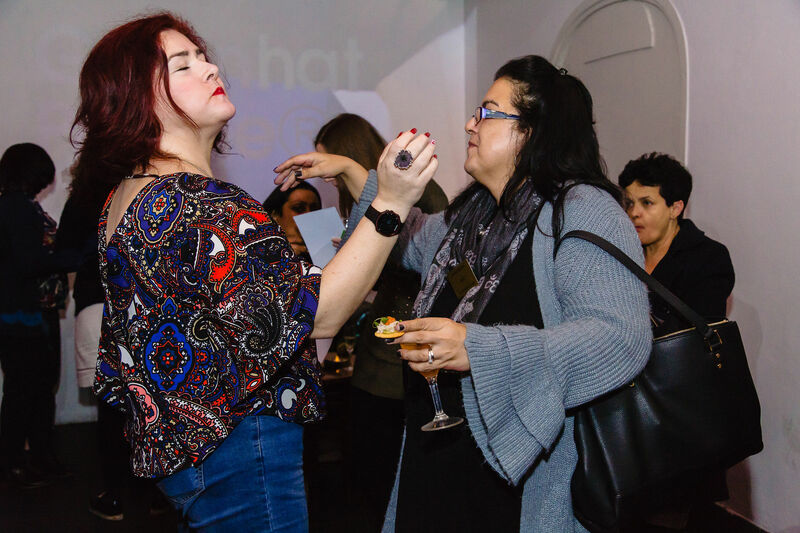 But before they left – PA Life provided them with one more surprise – a gift bag, provided by Elemis, which was filled with a few Christmas presents from the beauty brand, as well as some of the other sponsors on the evening including The Grubstreet Author. 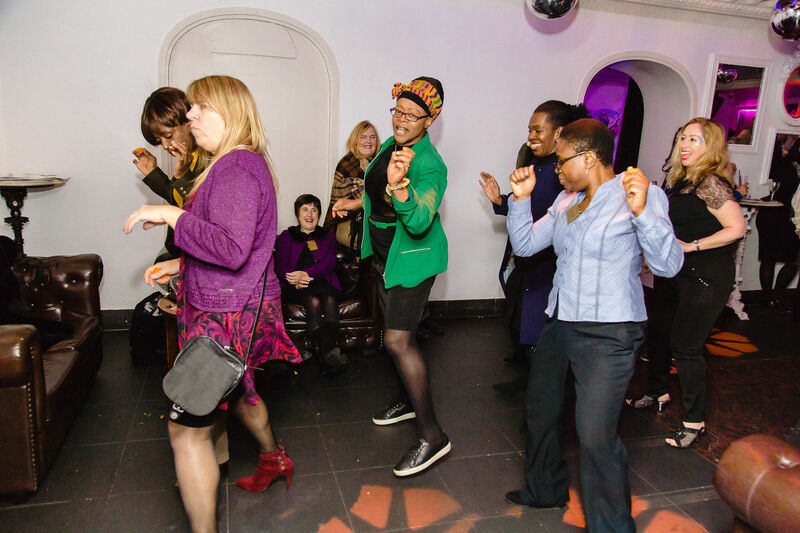 The PA Life team had a fantastic night seeing our members celebrate together and dance the night away. 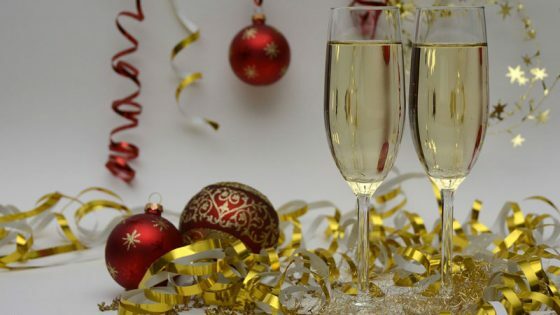 We wish you all a Merry Christmas and a Happy New Year.